Securing your home has morphed into something much more digital in the past few years, but we’re still vulnerable. The connected home is full of gadgets that may not (read: probably don’t) have security features built in, but Dojo thinks it can fill that niche. With a small dock that plugs into your router, Dojo monitors your home network for vulnerabilities. If your connected front door lock was being hacked by outsiders, for instance, Dojo would let you know. Alerts come via a ‘pebble’ you can place anywhere in your home, and an app that lets you perform perfunctory tasks like blocking access to an offender. It’s chat-based, with notifications appearing more like you’re simply talking to your home’s digital bouncer than working hard to rebuff hackers or unscrupulous companies that may be siphoning more of your data than you’d like. 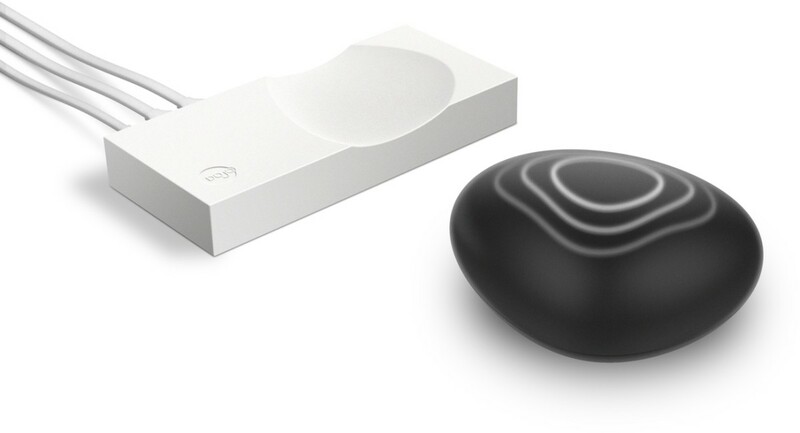 Dojos pebble has rings that light up when something is amiss. If you’re reading in the office while the neighbors are clumsily trying to connect to your Chromecast to get internet access, the pebble will let you know all about it if it’s in the same room. It also learns. By examining your devices and their behavior, Dojo knows where vulnerabilities might be. It also assesses ongoing threats, and may remember to block them without bugging you. Dojo says it has proprietary algorithms that lean on machine learning to assess threats, all backed by research done in-house (in Dojo’s house, not yours). Dojo is currently selling on Amazon Launchpad for $99, a price that will double sometime in the future. While it’s yet another device that wants access to your router, it may be one of the more critical purchases you can make.